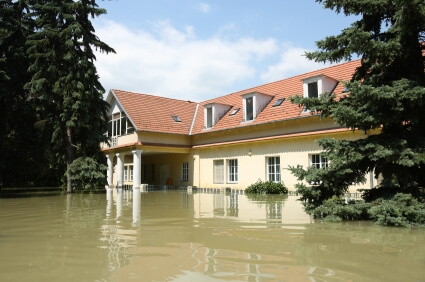 Is Water Damage Covered Under Your Insurance Policy? You are here: Home / Water Damage / Is Water Damage Covered Under your Insurance Policy? When you think of your insurance policy, fire damage comes to mind immediately. It’s a given that you’re covered for any damage caused by fire, but what about water damage? We always think of minor damage caused by water, but what if you have a lot of water invading your home? When it comes to water damage coverage most homeowners are confused about what exactly is covered under their insurance policy. It’s important to fully understand your coverage, which we’ll outline below. Homeowner policies do not cover damage due to a flood, however, your home insurance policy may cover other kinds of water damage. The best way to differentiate between water damage coverage is to separate the cause of the damage into one of two categories: “open perils” (aka comprehensive or all risk policies) which means damage caused by nature, or if the cause of the water damage is from a hidden leak somewhere. The former could be anything from a hole in your roof or a broken window caused by strong storm winds—that’s something out of your control. The latter could include a hidden leak caused by a broken pipe, implying that your plumbing may have been poorly maintained or repaired. If this is the case, then you’re likely not covered for any damage caused by that leaking pipe. This is why it’s important to thoroughly review your insurance policy to see just what sort of water damage is covered—it helps to be prepared in case disaster strikes! Before you attempt to figure out just how water damage occurred, it’s important to deal with it as soon as possible. You’ll need to locate the source and stop it immediately so that no further costly damage can happen. And this includes the resulting growth of mold and mildew. When water is leaking in your home, it’s a ticking time bomb of mold growth waiting to bloom all over your home. Excess water means excess moisture, providing the perfect breeding ground for mold spores to travel throughout your ventilation system, and smelly mold to collect on your walls and ceilings. In addition to being unsightly and odorous, mold can cause serious health problems, particularly if someone in your home suffers from asthma. Exposure to mold can cause runny noses, coughs, nosebleeds, congestion, and sinusitis, as well as serious upper respiratory ailments like bronchitis. Unfortunately many insurance companies are restricting mold damage coverage, however, some mold damage may be covered assuming it was caused by a covered peril (flooding due to a heavy storm, for instance). Regardless the cause, you should immediately report any water damage to your insurance agent, just in case there is coverage for that particular damage. After experiencing a violent storm, it’s almost a given that some flooding will happen to your property. Before you think about what’s included your insurance policy, think about drying all of the wet areas first, and as soon as you can. It’s important to provide air circulation throughout the affected areas to help in the drying process. This can include the use of fans and dehumidifiers; industrial strength versions can be rented if you don’t have your own on hand. These actions will go a long way towards minimizing the damage itself, as well as stalling the possible growth of mold. Afterward, contact your insurance agent at your earliest opportunity in order to begin the homeowners insurance claims process. If you have discovered that water has been slowly leaking throughout your home for an extended period, mold may have already developed. If this is the case, than it’s likely that your claim will be rejected because such gradual water damage is not covered. Do not attempt to clean up the mold problem yourself! Doing so may further spread the mold spores, in turn causing more damage to your property as well causing health problems for the occupants. This would be the time to bring in the professionals!